This book is about music improvisation. It forges exciting and provocative new links between a range of theories and practices in texts that explore topics as varied as object-oriented ontology, game theory, ethical responsibility and breath. 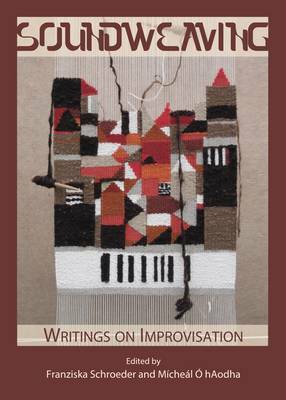 In improvisatory fashion, this book has been edited so that it weaves the texts amongst each other, subversively inserting a tactile piece of text - a text interlaced, as a woven cloth, among the contributing authors. The writings in this volume are both timely and diverse, exploring as they do an array of interdisciplinary and critical discourses, thereby illuminating the field of improvisation from different perspectives within the radical and diverse contexts that undercut contemporary improvisation studies and practices. It consists of eight chapters as researched by practising musicians and theorists and an introduction by one of the most inspiring improvisers of our generation - Evan Parker.